EtherBoot @ LinuxWorld Expo Boston 2005! 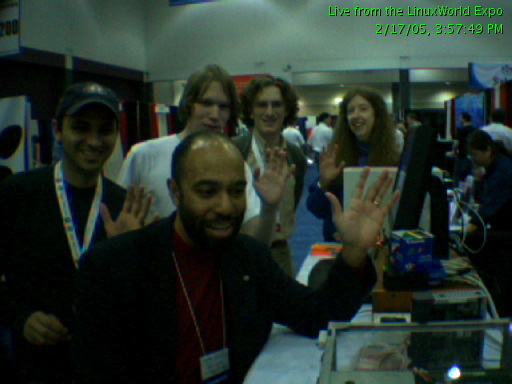 The Etherboot Project secured a .ORG Pavillion booth at LinuxWorld Expo Boston 2005. Our goal is to raise the profile of network booting and thin client technology. We demonstrated various aspects of thin client computing, including network booting, creation of ROM images (including demonstrations of ROM-o-matic.net), ROM burning, server configuration, applications of network booting, and many other topics of interest to people at the show.